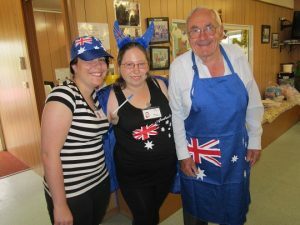 Heathcote Health is always looking for Volunteers as we believe they enhance the health service by providing value added services to our patients, residents, families and visitors. We consider our volunteers a valuable and complementary part of the health care team and the presence of volunteers in various areas throughout the organisation make a difference by enhancing the patient and visitor experience. Anyone interested in becoming a volunteer should contact our Volunteer Coordinator, Michelle Chapman on 5431 0900. Heathcote Health has implemented a new software program to help us engage our volunteers effectively and efficiently. This was made possible through a successful grant application to The Frances & Harold Abbott Foundation in 2013. The Frances & Harold Abbott Foundation was established as a charitable trust on the death of prominent Bendigo businessman, Harold Athelstane Abbott who died in 1979. The trust’s purpose is to support charitable organisations.